We love St. Simons Island and wanted to count down all of the reasons we love it, from A to Z! To read Part 1 (A-F) click here. Stay tuned for the rest of the alphabet in upcoming blog posts! G. Golf- The island is a golfer’s paradise with 162 holes of golf, many of which are on the ocean or have beautiful marsh views! The King and Prince Golf Course is on the marsh and is located at the north end of St. Simons Island. H. History- You will find history everywhere you look on the island. 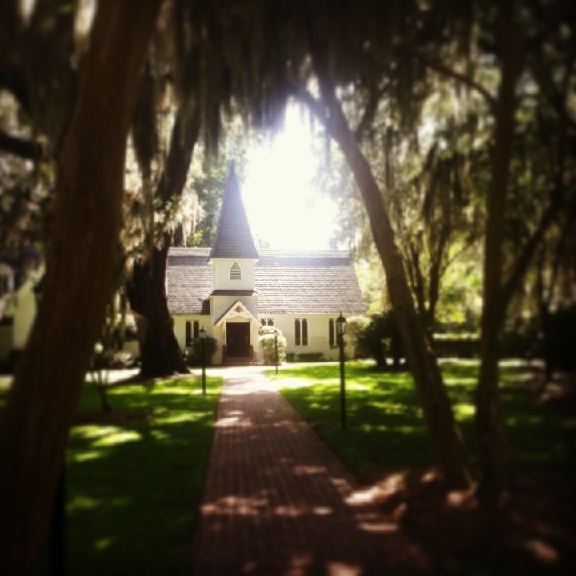 From the tabby slave cabins, to Fort Frederica to Christ Church and the historic tours with Lighthouse Trolleys, you are surrounded by history on our small island. I. Island Time- Drive over the causeway and you are on “Island Time.” Slow down, smell the salt air, see the massive live oaks dripping with Spanish moss and you’ll know you have arrived. Time slows down when you get to the island. You’ll find smiling faces, lots of shops, restaurants, fishing, beautiful beaches and good times! J. Barbara Jean’s Restaurant- An island staple for years, Barbara Jean’s sits right in the middle of the action in the pier village area. Get there early because tables go fast. You’ll love their selection of coastal cuisine and Southern favorites like shrimp & grits, crab cakes, she crab soup, catfish, ham and even a veggie plate. K. Kennedy Outfitters- Your one-stop-shop for all of your fishing, hunting and beach needs, this outdoorsman’s paradise is the perfect place to stock up on gear before you head out fishing. L. The St. Simons Lighthouse- This is one of only 3 lighthouses on the Georgia coast. It is an operational navigation aid for boats entering St. Simons Sound. The light can be seen up to 23 miles away at sea. Visitors are welcome to climb up it’s 129 steps to see the spectacular view from the top! For more information, visit their website. This entry was posted on Wednesday, February 11th, 2015 at 8:11 pm	and is filed under Area Events and Info, The King and Prince Golf Course. You can follow any responses to this entry through the RSS 2.0 feed. Responses are currently closed, but you can trackback from your own site.